Ward Village Light Garden — Jack Tyrrell & Company Jack Tyrrell specializes in Kakaako, Honolulu, Hawaii luxury condo projects. The long-awaited Victoria Ward Park is now open, and its opening is starting off with a bright bang! 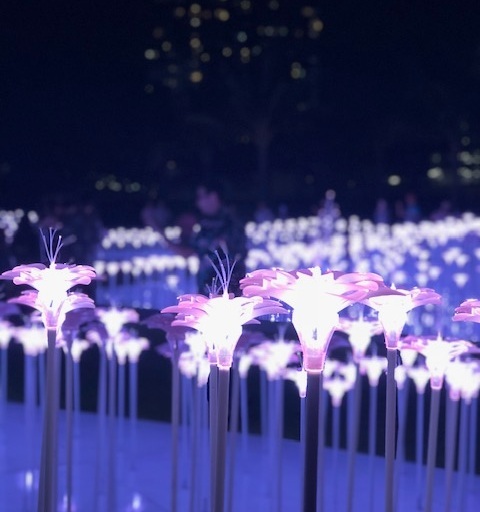 Through January 31st, 2019, visit the Light Garden by Symmetry Labs - an art installation of a field of luminous flowers that change color as it reacts to music. The Light Garden invites exploration and engagement while sparking a sense of whimsy and wonder. The garden is family-friendly, free, and open to the public. 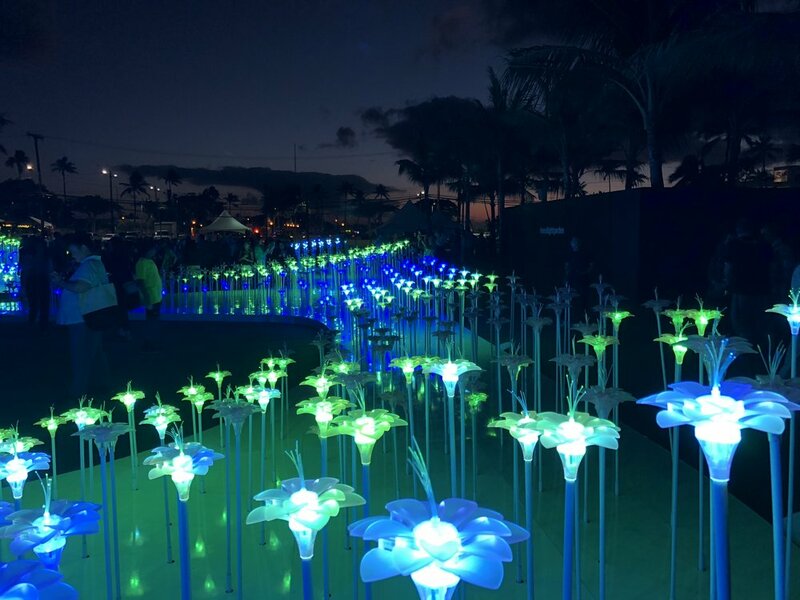 “Inspired by the Hawaiian flora, Light Garden, a 1,000-Year Bloom features over 25,000 LED lights in more than 2,300 floral 3D sculptures spanning 9,500 square feet, and is Symmetry Labs’ largest-scale work to date,” organizers said. The garden will be open from 6 p.m. to 9 p.m. daily. We were honored to be there for opening weekend. The garden will re-open to the public on December 21 and remain open through January 31, 2019. Music concerts, pop-up markets, and events are planned during its limited time run, so make sure to follow us on social media to stay updated! Built on the site of the former Ward Warehouses, we are especially excited for the completion of the Victoria Ward Park and believe it will be a huge asset to the Ward Village community. With the addition of this public open space, which is sure to be the heart of the neighborhood, Ward Village moves closer to completing its vision of a truly “live, work, play” lifestyle for people of all ages. Photo: Newly completed Ae`o in view from Victoria Ward Park.